Bodacious Tomato Ketchup is manufactured in the Honey Bunny Inc. facility in northern Alberta, Canada. 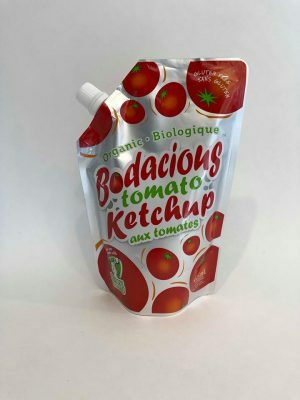 This ketchup is sure to stand out on any kitchen table in its unique stand up pouch. 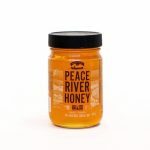 The product is sweetened with organic honey from Honey Bunny Inc.. The real tomato taste is sure to have even the pickiest eaters coming back for more. Be the first to review “Bodacious Tomato Ketchup” Click here to cancel reply.